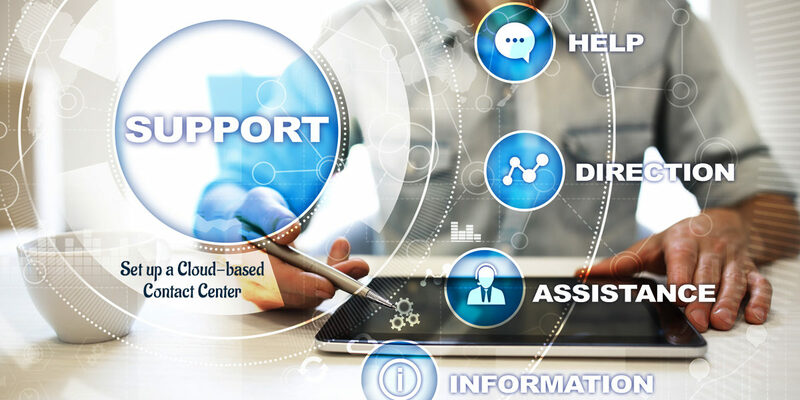 Cloud-based call center software is a type of call center software that is hosted in the cloud by a telephony service provider. These days cloud is raining all over the call center world. I mean, cloud-based call center software is used by most contact centers. But there are still some misconceptions among some small business owners who hesitate to use cloud-based systems. The traditional call center management system is not bad yet it is quite out-dated in terms of usability in this era. In this article, we will discuss cloud-based contact center software. We will try to figure out what benefits you get when you switch to cloud-based call center software. Traditional call management system requires a broad measure of investment to build up and work. Cloud-based call center software is hosted on the cloud. Hence you do not need to deploy extra hardware for it. From the very first moment of your purchase, you will be able to use cloud-based call center software. Unlike on-premise based telephony systems, cloud call center software does not require huge space or machines. You can easily create your own cloud call center at your home as well. Better adaptability simple means the nature to integrate and scale. When it comes about traditional call management system, you will not see better adaptability there. On premise-based system does not let call centers to pick the features they need. You cannot also exclude some features and pay only for what you use. Cloud-based call center software is scalable means; you can easily choose the features that suit your requirements. The cloud-based system is also flexible to use on mobile phones which make it stand apart from traditional telephony systems. With traditional telephony systems, users will not be able to relocate themselves easily. On-premise, based systems require bulky hardware which is very difficult to move. This also stops you to hire remote employees. But cloud-based call center software allows you to offer better administrations to your customers. With cloud-based call center software, you can easily hire remote employees and relocate to any place in the world. You just need a computer or mobile to allow cloud-based call center software to function. Cloud-based call center software is a modern day innovation to help contact centers. Cloud mainly cuts the extra cost that small businesses spend on hardware and maintenance. Therefore it reduces the risk of low profit. With cloud-based call center software call centers can easily get government clearances to set up their organizations. In case of any natural or artificial disasters, cloud-based call center software is extremely helpful. It allows call centers to recover quickly and reduces the chances of data loss. In the end, the most important thing is that we discussed how cloud-based call center software can help businesses. If you find this article helpful, please do not forget to give your comments below in the remark box.